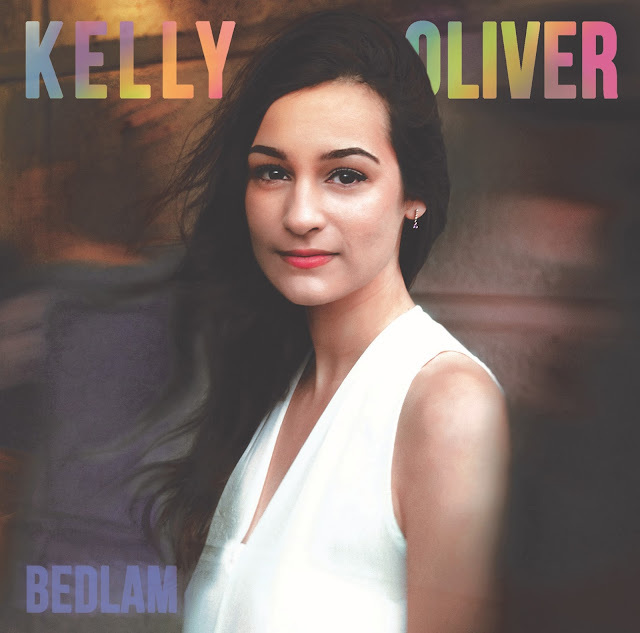 March 6th marks the release of Kelly Oliver's latest album, Bedlam. In the second part of our interview with her, we discuss the making of the album and what lies ahead for this rising star of the young folk movement. Recorded throughout 2015, Bedlam came reasonably soon after the first album and was very much a work in progress, with songs being written and recorded simultaneously. After listening to the album you can sense that its a leap forward in both songwriting, playing and production. For one, more producers were used, bringing their own sounds and ideas to the table. Lauren did however contribute, continuing their wonderful working relationship. I go on the ask the girls about the inspiration behind the album. Kelly responds promptly suggesting that each song is individual with no theme as such; a mix of personal experiences and traditional "folk" infused storytelling. Something different is the words she uses and its hard to disagree when listening to the record. "What do you hope people will get out of this?" I ask. She liked that question and answers by suggesting she made a conscious effort to improve on the instruments she played, as well as the vocals. Also that the lyrics are not wasted, that every word counts. She discusses how people interpret her work, that sometimes its very different to her own understanding. Going on to say that she likes people making their own decisions on each songs meaning. Our conversation moves onto the music industry in general. 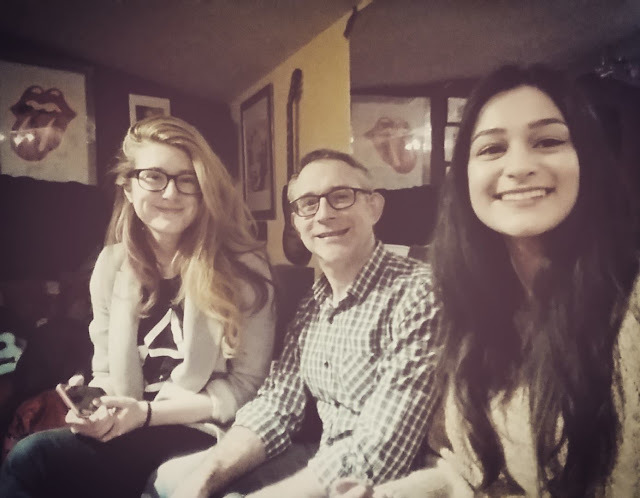 Kelly and Lauren discuss the relevance of CD's in the modern world and the continued rise in the Vinyl market. Although a little coy about it there seems to be a suggestion that the current album will have a vinyl release. I can't help thinking how refreshing it is to hear two young musicians talking so enthusiastically about vinyl. It's what I grew up on (my first single was by Ultravox! a 10p bargain at a fete sale); "Dancing with tears in my eyes!" So with Bedlam's release imminent we move on to what's next. Kelly is currently in the middle of a nationwide tour and during the summer a number of key festival gigs, including Bob Harris's (iconic UK radio DJ) Under the Apple Tree Roots Festival and some currently unannounced big festivals! Be sure to check Kelly's website for more details http://kellyoliver.co.uk. As she talks about touring, whether solo or with a band (an upcoming Convent gig is with a band). You get the sense that this is where she enjoys being the most, out there performing her work. Meeting and chatting with fellow musicians and fans. Being a travel writer I have to ask about free time and holidaying. It becomes apparent that both don't rest on their laurels. Their work is also their passion. Promoting gigs takes time, trailing through the task of working with social media is a continuous battle (I know what she means!) What of the future then? To be the next Joni Mitchell? Yes, please Kelly replies. She also talks about playing at other venues and abroad. Australia and Europe are mentioned. Hope you're read this Australia! Our conversation takes in everything from YouTube to the accessibility of being a musician. Both talk so gracefully about every subject that we could have carried on for hours, but our time has come to an end. I leave our interview feeling very alive and inspired. The hour or so spent with Kelly and Lauren highlights the young talent that is out there waiting to be discovered. And I'm left thinking that the UK folk scene is in very good hands, due to the enthusiasm and dedication of the likes of Kelly and Lauren. What an inspirational pair. Bedlam is released this weekend and if you'd like to know more details then please visit Kelly's website. I hope you have enjoyed our little look into Kelly's world? If so then please leave a comment. In the coming weeks I will be doing a feature on Lauren (one of the UK's few female producers), so please look out for that one. Until next time, carry on folking!